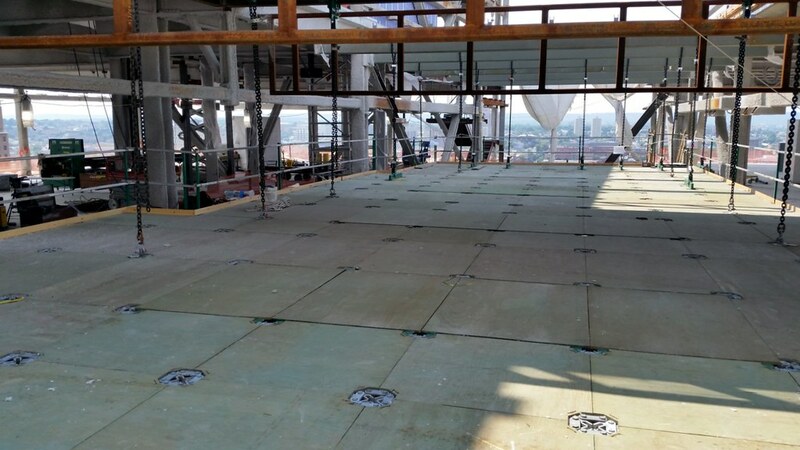 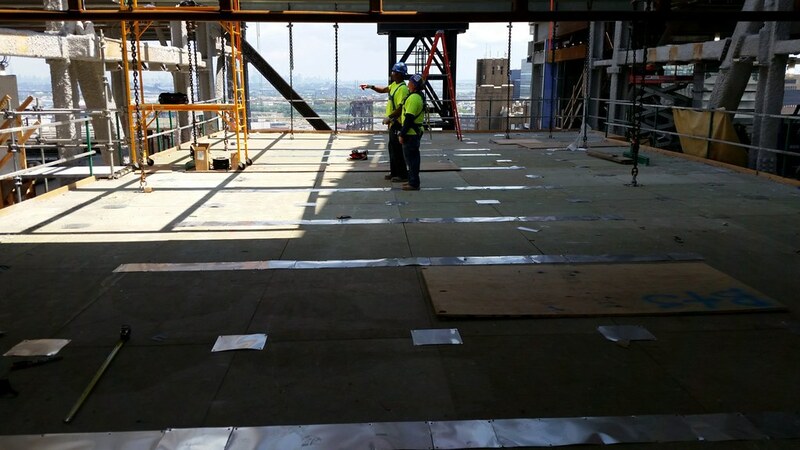 GBL provided a custom, fully integrated Work Access system for the 300-foot high atrium complex of this new office tower. 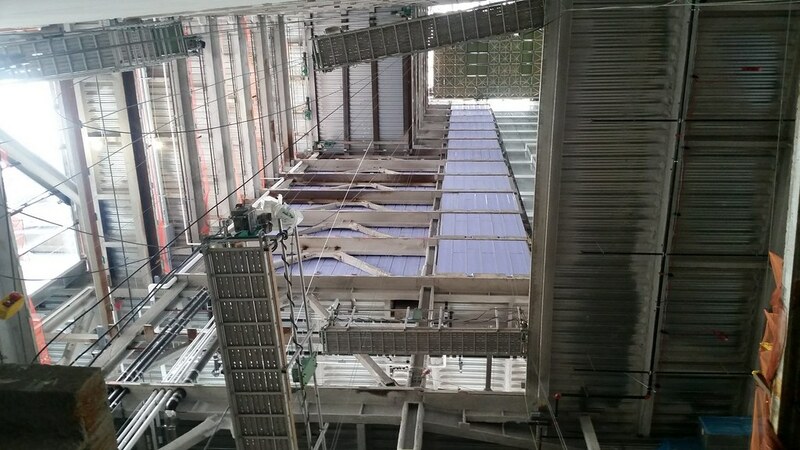 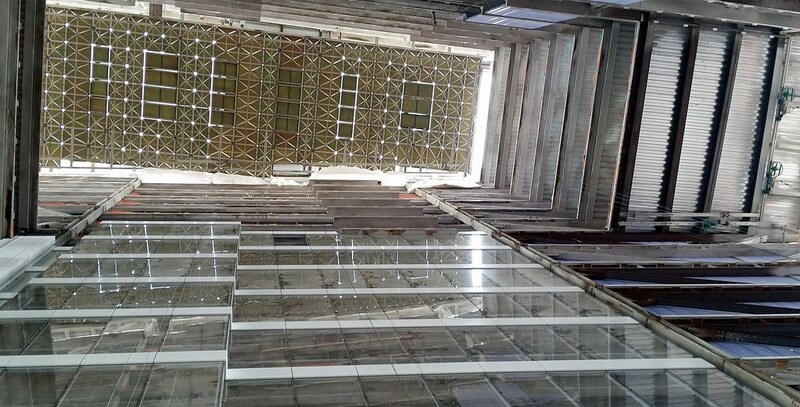 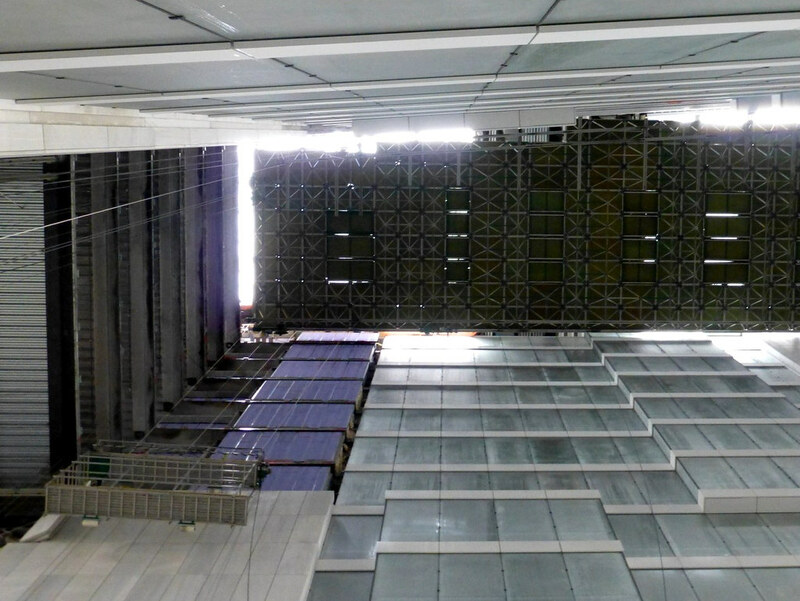 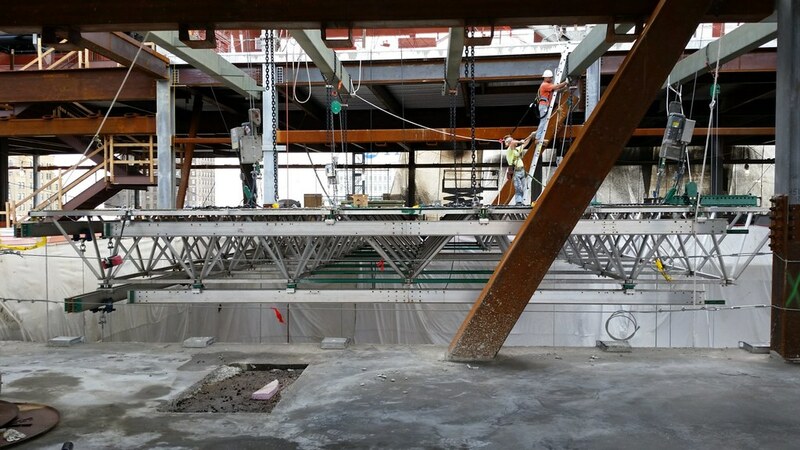 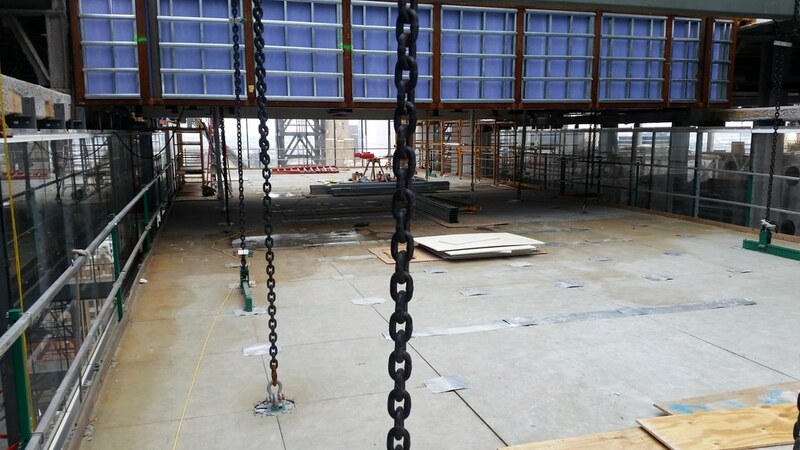 Multiple Workstations (aka “Dance Floors”), the largest measuring up to 40 feet wide and 110 feet long, were hoisted in sections to the top of the atrium, where they were suspended from the skylight structure. 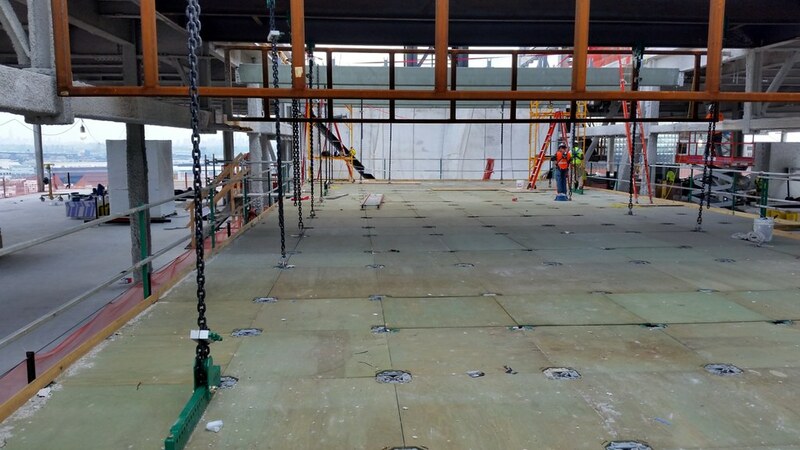 Above deck, the Workstations’ expansive fully railed work surface provided complete, free access to the glass roof, BMU tracks, and topmost curtainwall panels. 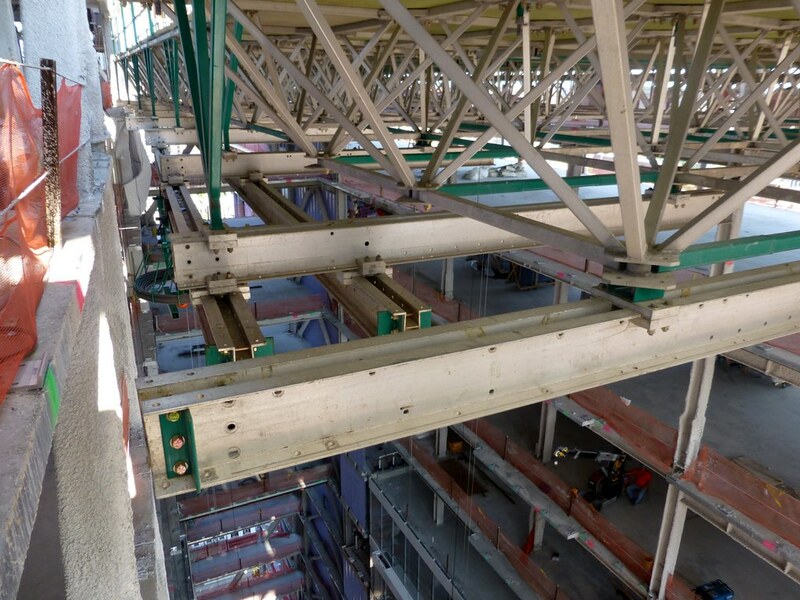 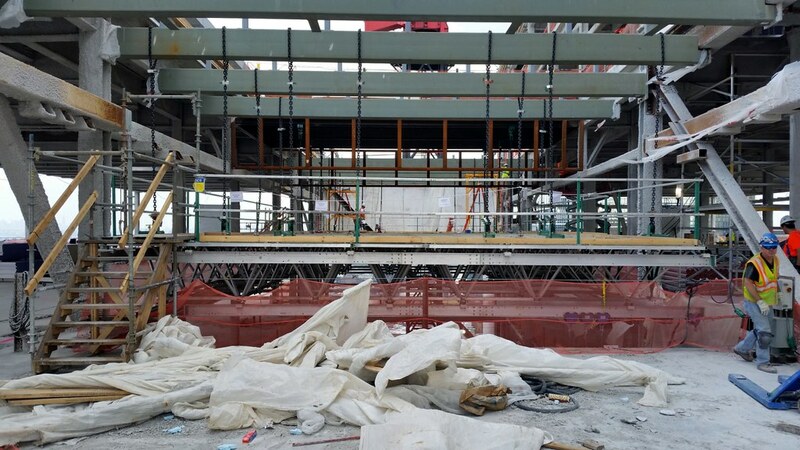 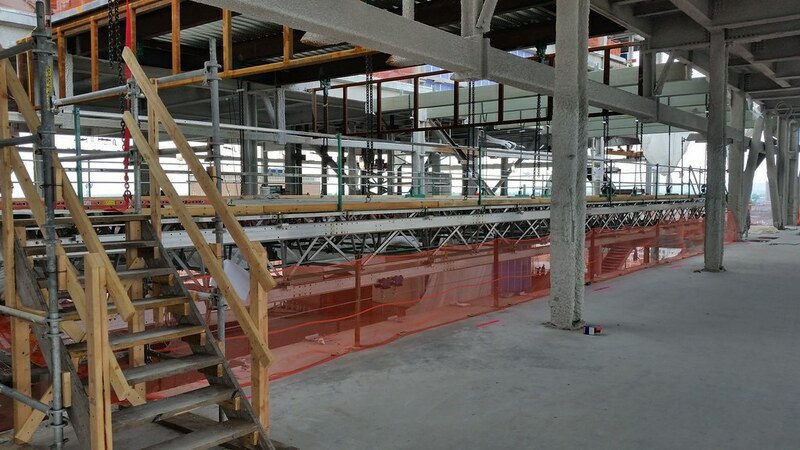 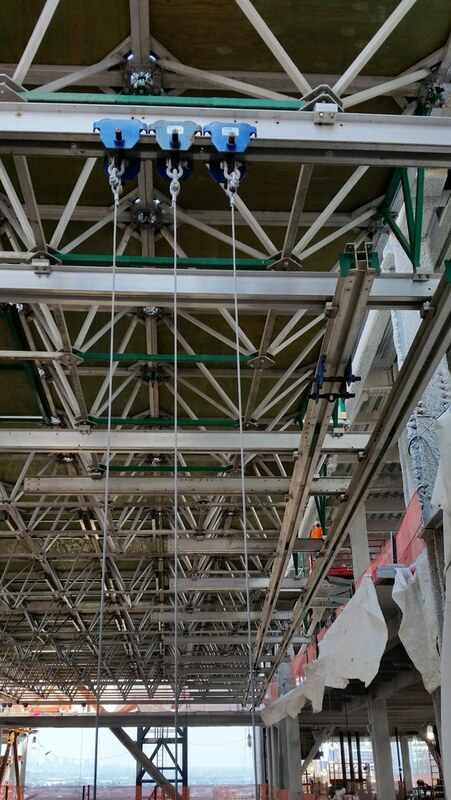 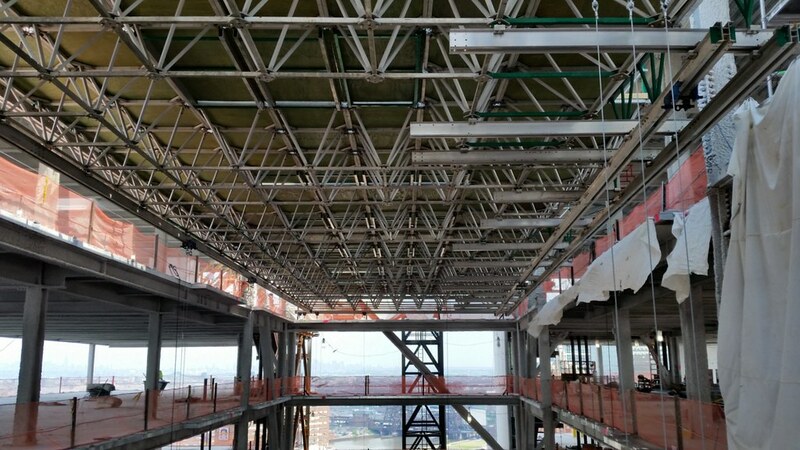 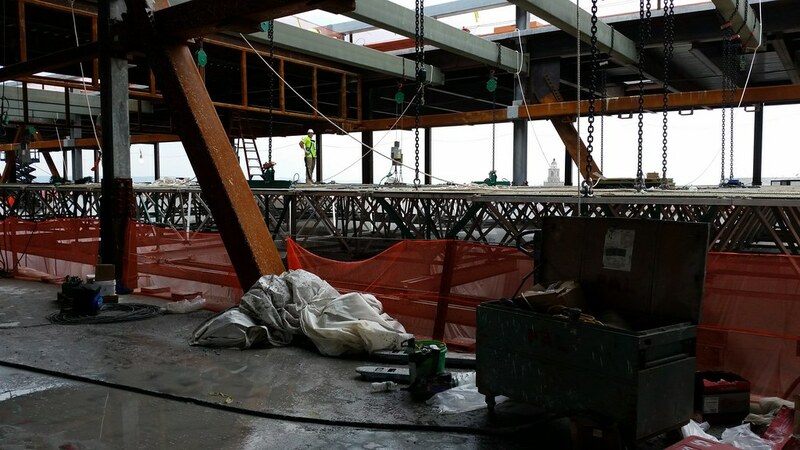 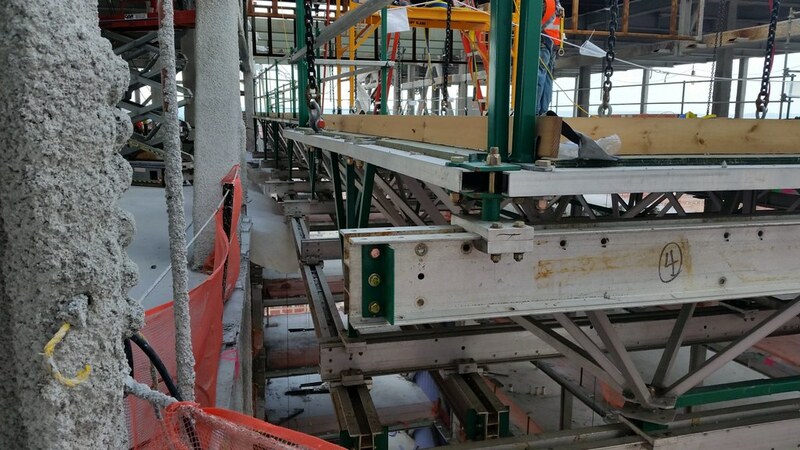 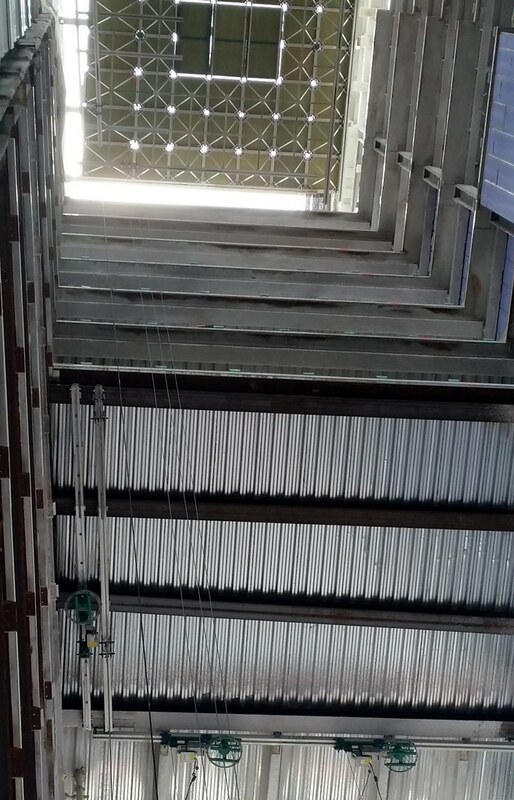 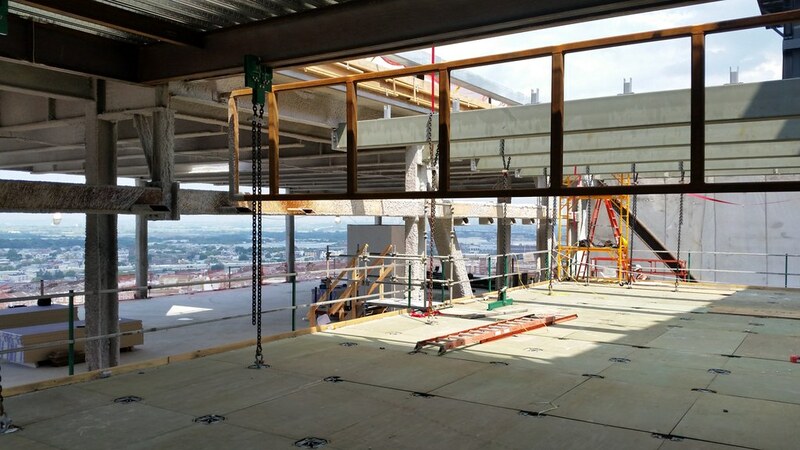 Below deck, the Workstations supported a variety of types of suspended GBL equipment, including the monorail-riding platforms and material hoists which were used to install the atrium’s 20 stories of curtainwall. 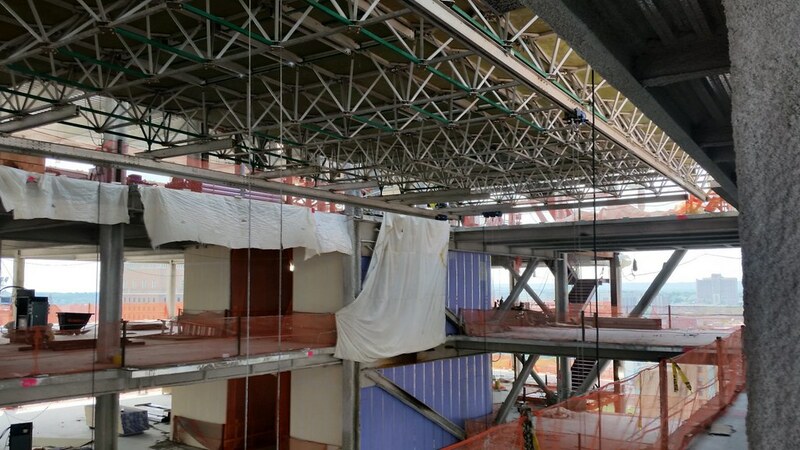 The robust structure and modular nature of the Workstations allowed platform extensions to be added, in order to accommodate the asymmetrical layout of the atrium complex. 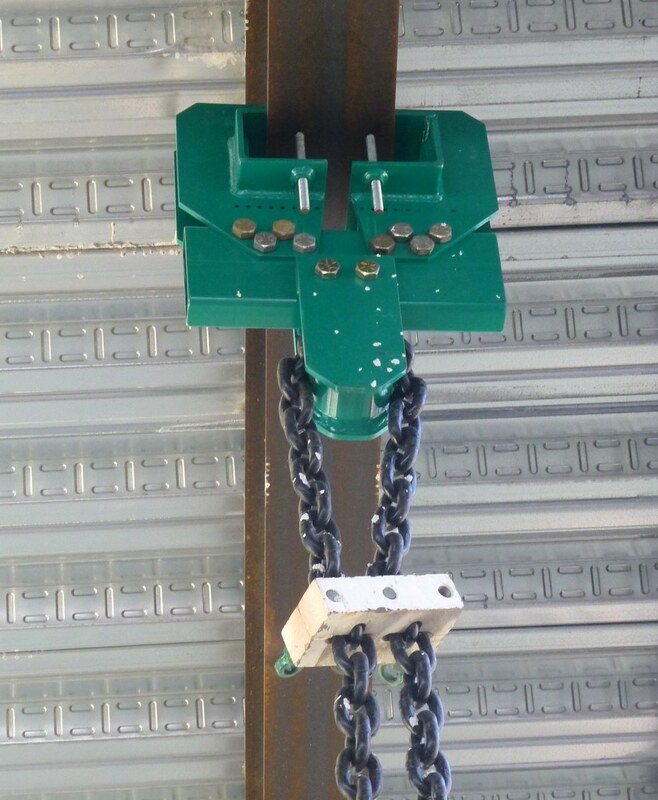 This strength and adaptability also guaranteed that the loads imposed by the equipment could be precisely directed to eliminate any potential adverse impact to the building structure. 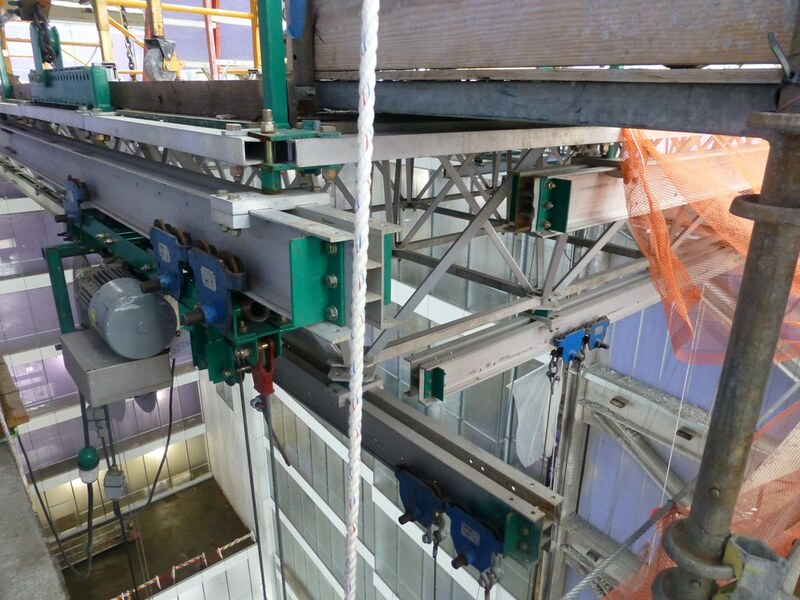 (75 seconds) Men control the hoisting of a Workstation towards its final working location near the glass roof of the atrium.